The Tenorio Volcano National Park was created in 1995 to protect the active Tenorio Volcano, making it one of Costa Rica’s youngest national parks, and one of the most beautiful national parks in Central America. It is in the northern part of Costa Rica, in the Guanacaste province, and borders the famous Rio Celeste. The national park is also famous for its incredible flora and fauna, beautiful biodiversity thanks to the four life zones found there. If you’re looking for an amazing hike in Costa Rica, put the Tenorio Volcano National Park on your list. 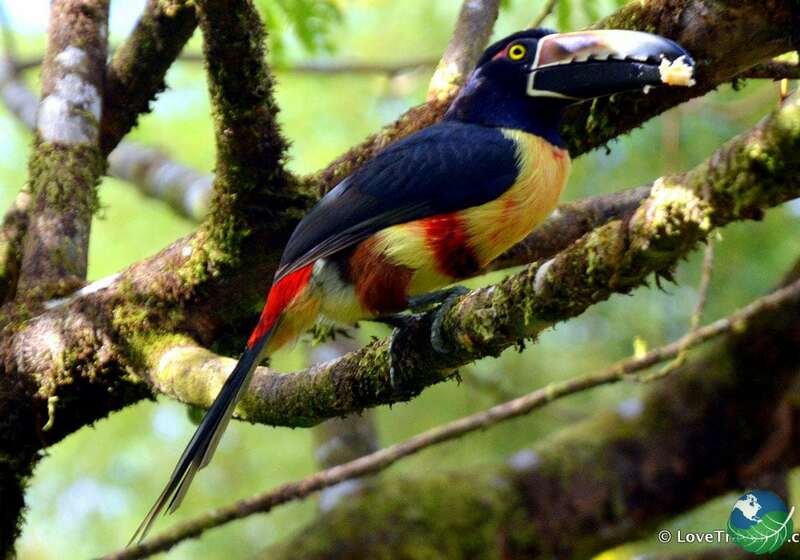 Wildlife living in the park includes pumas, howler monkeys, a myriad of bird and insect species, agoutis, peccaries and tapirs. The park is also home to Bromeliads, palms, helicons, orchids and various species of trees. In addition, the Tenorio Volcano National Park acts as a natural boundary for the trade winds coming from the northwest. The Celeste River (The Rio Celeste) is a brilliant sky-blue color thanks to a reaction caused by two clear water rivers flowing together and mixing minerals, oxygen, aliminium and silicon. Your trip to this amazing volcanic forest is one you will never forget! The Tenorio Volcano National Park is perfect for hiking. The main entrance is called El Pílon and the ranger station at the Tenorio Volcano National Park is open from 8 am to 2 pm. The ranger station has drinking water, first aid facilities, and restrooms, but camping is not allowed inside the park. If you reach the top of the volcano you will find areas to spend the night. There are several trails in the park that lead to a picnic area. Hiking through the whole park can take four to five hours, so be prepared with plenty of water, snacks, sunscreen and bug spray. One of the most popular stops along the hike is the Rio Celeste waterfall. You’ll also walk along streams, by a gorgeous lagoon and under the canopy of a tropical forest. The Tenorio Volcano is obviously the best part of the hike. The volcano is over 6,000 feet and is surrounded by incredible cloud forest and rainforest. From the summit, the views are stunning. In fact, on clear days you can even see Lake Nicaragua. The hike is challenging, meaning the trails are not overcrowded with visitors. 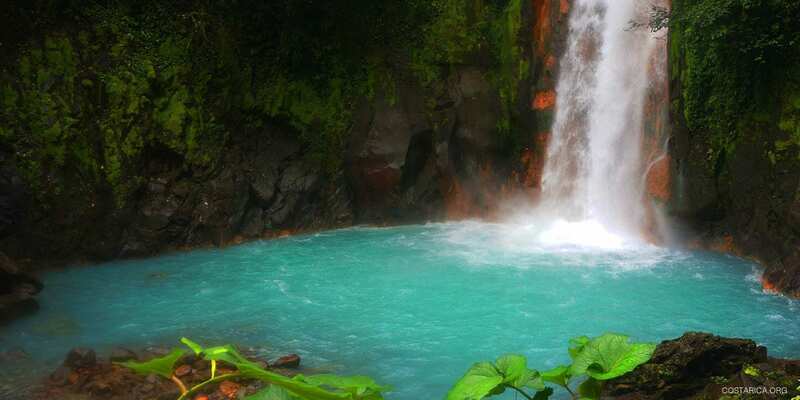 Rio Celeste is one of the most beautiful locations in Guanacaste. Its amazing blue color is thanks to a combination of sulfur and calcium carbonate, which makes it look like a work of art. Your hike to Rio Celeste will include stops at hot springs, lagoons and incredible viewpoints.The hike is 6 kilometers long, so bring lots of water and snacks. 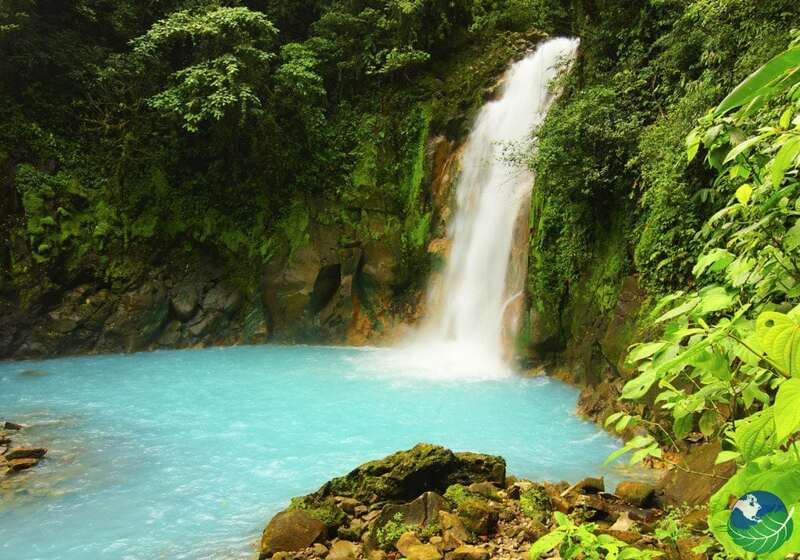 The best time to visit Rio Celeste is from December-April, during dry season. The Tenorio Volcano National Park is close to a few other popular Costa Rican volcanoes, including the Arenal Volcano and the Miravalles Volcano. Arenal and Miravalles offer unforgettable hiking, adventure tours and hot springs that you don’t want to miss. You can hike up the Miravalles Volcano, take a canopy tour in the Arenal Volcano National Park, go kayaking on Lake Arenal and enjoy the relaxing hot springs in La Fortuna. The hanging bridges tour in Arenal is a great option for families and birders who want to visit and explore the tropical canopy from the sky. 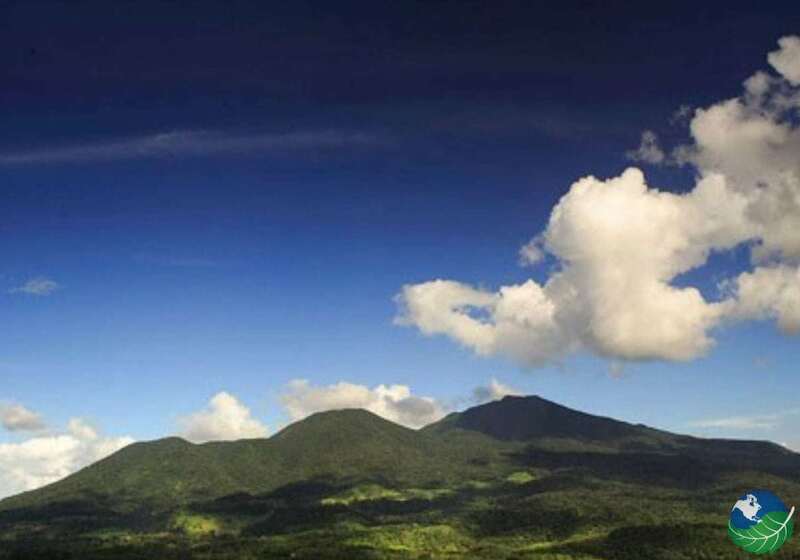 The best time to visit the Tenorio Volcano is from December-April. It’s an unknown entrance that has awesome trails and hanging bridges. Not all hot springs located in the national park are safe to swim in. Some even reach boiling temperatures. Ask about safe hot springs at the ranger station. The small town near the Tenorio Volcano has a few lodges and tourist amenities. To get to Tenorio Volcano National Park from Liberia, take the Interamerican highway to Upala (Route 6). It will take about 2 hours. From San Jose, you can take the Interamerican highway to Canas and from Canas turn to Bijagua. Or, take the highway to San Carlos and Upala and go to Bijagua from there. It’s about 4 hours from San Jose. My Costa Rica can help you arrange a private transfer, shared shuttle or rental car. If you’re renting a car we recommend reading about driving in Costa Rica and renting a car with 4-wheel drive. There are many great hotel options near the Tenorio Volcano. For beautiful bungalows surrounded by nature, try the Tenorio Lodge. The Celeste Lodge is only an hour away from the Liberia international airport and offers easy access to Rio Celeste and the national park. 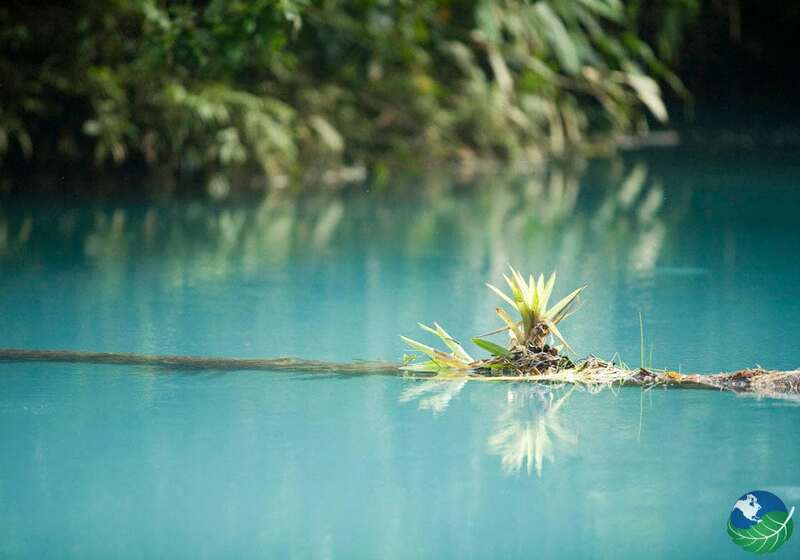 Finally the Rio Celeste Hideaway is surrounded by lush flora and fauna and is great for honeymooners, nature lovers. It’s a great starting point for Tenorio Volcano National Park, Rio Celeste and the Arenal Volcano.